Yerba Mate: The energy kick of coffee without the jittery side-effects, Yerba Mate is an energizing herb that can help bring quick, sustained energy boosts. Fantastic when feeling fatigued. Guarana: A natural source of guaranine, Guarana is renowned for it’s energy boosting effects. Also a brain tonic, the effect of Guarana is beneficial for long term nervous system health. Each cartridge has approximately 300 hits of the formula. A full dose is 3-5 inhalations, waiting about 10 minutes between doses. Energy Formula Herbal blend vaporizer cartridge is a healthy alternative any time you want a little pick me up, a little, kick, a little energy! It’s a great way to start the day, particularly when paired with the CBD Cartridge, you’re getting your energy and your immune support if you use both. Yerba Mate and Guarana add an extra level of energy to your body without the crash and jitters of caffeinated drinks. The active constituents in guarana seed are called guaranine. Guarana and mate are what is called “cooling stimulants,” releasing revitalizing energy to the body as tonics. They are naturally-occurring, food-source substances, with chemical similarity to caffeine, but with important and subtle differences in the way they work in the human body. Alternatively, caffeine is a short-lived excitant that heats up the system rather than cools it. It delivers its punch immediately to the body. In long term, high dosage amounts, like those supplied by several cups of coffee, the heated hydrocarbon by-products can create irritation, indigestion, and nervousness. People who have difficulty with caffeine seldom have problems with guarana and mate. Use this any time you’re heading out, need a bit of a pick me up or anytime you need a little motivation. Q: How many milligrams of cbd are in a cartridge? 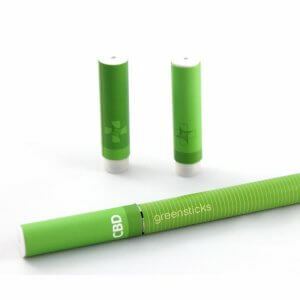 A: Greensticks are NOT concentrated cartridges. They provide functional medication that allows you to have full control of your dosing. This is the whole flower of the plant placed into a cartridge so you can benefit from the entire entourage effectEach cartridge has 250-300 inhalations. Recommended dosage 4 inhalations, 3 times a day. They can't be compared to other cartridges by the mg because it's like comparing apples and oranges. Q: how much should I take? how many mgs are in a cartridge? A: YES, we can ship to Pennsylvania and we're happy you contacted us about your pain. David uses the CBD Vaporizer (link below) however in years since, we've seen better results using the vaporizer for breakthrough pain and the Whole Flower Fluid https://www.thecbdexpert.com/shop/whole-flower-fluid/ as your daily dose of CBD for reduced inflammation and pain relief. The Whole Flower Fluid is what is in the vape pen. But when you take it with drops directly in your mouth, there is no ignition and personally, I prefer drops because the vape pen technology involves metal which there is no reason to inhale if you don't have to. It is wonderful for smokers and for immediate relief for breakthrough pain. Here is a blog about it: https://www.thecbdexpert.com/cbd-for-pain/ We are one of the merchants that was targeted by credit card processing for selling CBD, after 4 successful years with not a single chargeback! So we are now accepting PayPal, Venmo or Bitcoin and offering discounts - determined to get this miracle PLANT product in the hands of people that need it. If you want to try both products, we're offering a very special deal for one bottle of the fluid and one CBD vape cartridge with the pen/storage box for $170! You can add 3 more CBD cartridges to fill the storage box for an additional $90. If you only want the fluid, we're offering it at half price, so $125. It should last you 2.5 - 5 months. Let us know if you can do one of those payment options and we'll send you details. Q: I live in Wisconsin. Can I buy this? ANSWER: YES! :) We just emailed you about our sale and for payment options. A: YES! :) We just emailed you about our sale and for payment options.